Tasmania-born, one of the most prominent contemporary Australian writers, spent 12 years working on "The Narrow Road to the Deep North". (b. 1961) – a Tasmanian-born descendant of Irish exiles. In 2014, he received the Booker Prize for Paths of North – a novel acclaimed as the Australian War and Peace. 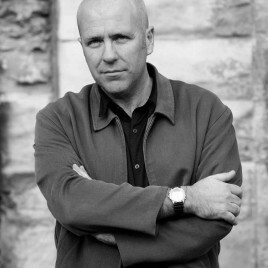 Flanagan is also the winner of Commonwealth Writers' Prize, Queensland Premier's Prize, Western Australian Premier's Prize and Tasmania Book Prize. A large part of his works is connected with the history of Oceania, including the dark period of British dominance. His most famous book Gould's Book of Fish is a sort of phantasmagoria: a story of an exile of a war colony near Tasmania, whose world has suddenly been reduced to a small island; the title hero receives a commission to prepare an album with images of fish inhabiting local waters. Flanagan is also a filmmaker; in 1998, he directed an adaptation of his own book The Sound of One Hand Clapping. In 2008, Australia, the screenplay of which was co-created by him, was released.